I described Barack Obama’s election as a new hope for a planet in peril. This couldn’t be more true as the President-elect chose real scientists to run the environment and energies agencies. This is a stark difference with President Bush’s policies and environmental record. 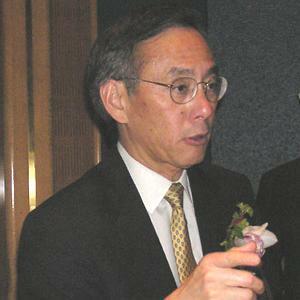 But a fact was little noticed: Dr. Steven Chu, the new Secretary of Energy, could be a great link with China. What if under the impulse of this Nobel Prize, the two largest greenhouse gases emitters were working hand in hand to solve the climate change issue ? (…) But this is a China blog, and the significance of the appointment of the first Chinese-American to the top energy post in the Obama administration has immense significance. I would like to think this represents an excellent opportunity to coordinate energy policy and development. Both the US and China, after all, are facing very similar energy-climate challenges–they are the top two emitters of greenhouse gases, rely heavily on foreign imports of oil and rely heavily on domestic coal resources as the predominant source of electric power, and now, seem poised to re-ope a new chapter of nuclear development. That the face of U.S. energy policy is Asian could be and should be played to the advantage of strengthening clean energy cooperation between both the U.S. and China. Chu’s LBL has already a demonstrable commitment to China energy issues as evidenced by their China Energy Group (check out the fantastic China Energy Databook that you can order free of charge). But the Department of Energy (DOE) is a funny animal. Energy policy making remains the preserve of the U.S. Congress, the legislative branch of government. As an administrative organ, the DOE is responsible for executing the laws passed by Congress. Currently laws probably allow for some level of international dialogue and collaboration between both countries, but nothing beyond a token level, or certainly nothing beyond a level that we can and need to embark on to stem the energy-climate crisis. Also, the DOE has been a technology-focused agency (and historically, particularly in nuclear energy development), administering energy technology R&D funds among various other administrative functions, but not necessarily engaging in the strategic clean energy planning that is required. But this might change under Obama’s leadership. If energy technology R&D significantly increases to the $15 billion per year over the next decade that Obama has promised in his campaign, then it is safe to say that Dr. Chu will have a significant financial war chest to deploy. (…)Both Dr. Chu and Dr. Holdren come from technology traditions and both clearly believe that new clean technologies are key to addressing the climate crisis, and are strong advocates for increased R&D. And as Atomic Insights points out, both are advocates for the long term role of nuclear in the U.S. energy mix, although they disagree on the issue of reprocessing and recycling spent nuclear fuel. To the extent that energy issues become the centerpiece of U.S.-China relations (and there are many indications that this will be so), one has to imagine increased cooperation on the nuclear front. (…) Cooperate We Shall, But How? With Dr. Chu and Dr. Holdren on board, what avenues exist for trans-Pacific collaboration? Electric vehicles and energy storage solutions is just such an avenue that has just received the ink of the Chinese Ministry of Science & Technology and the U.S. Department of Energy. This sector is interesting because it may be one where China occupies the superior position–Detroit’s Big Three is in serious trouble while BYD Auto have become world-beaters by releasing the first commercial plug-in hybrid electric car ahead of the likes of Toyota and GM. Solar is shaping up to be another. But obviously, however, the 900-pound gorilla is the negotiation of a successor treaty to the Kyoto Protocol that meaningfully engages both the U.S. and China. China has repeatedly stated (most lately, here) that it will not work outside the UNFCCC process, effectively ruling out any sort of parallel bilateral process between the two biggest greenhouse gas emitters. Of course, such policy positions can be are not set in stone, and a creatively constructed package that addresses China’s economic development concerns and provides the right innovation and financing platforms for collaborative low-carbon project development that is win-win-win for China, U.S. and the other Kyoto Protocol signatories can get us a Copenhagen Consensus. Can Obama’s eco-crackteam come up with the ultimate whole-systems policy solution to get us there? And you, what do you think about this ? I look forward to reading your comments. Obama gives us all hope for a greener future. Many thanks Daryl for your comment. I believe President Obama will literally make a brighter & better future more possible. But WE as simple citizens have to help him and any other leader that is truly committed to build such a future. Sonofusion needs to be looked at just as China Lake looked at electrolytic cold fusion. But all funds at DARPA for Sonofusion were pulled and ARPA-E has no funds except perhaps for a secretary to answer the phone. I hope DOE can fund ARPA-E so it can fund a national lab to valid Sonofusion as a potential energy source. No Sonofusion is valid unless the EMI is detected. Its detection signifies it is nuclear and not meson induced nor chemical created.